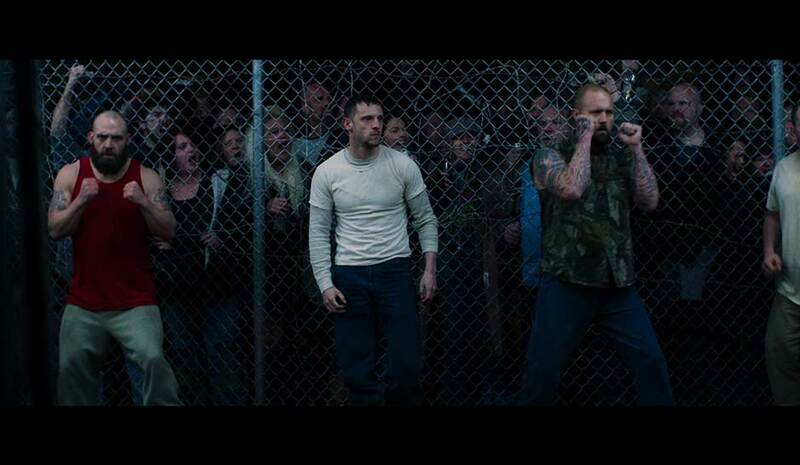 Jamie Bell as “Jarhead Earl” in Tim Sutton’s Donnybrook. Courtesy of IFC Films. An IFC Films Release. “Donnybrook” is a harrowing film about desperate people. It’s about survival, and what people will do when pushed to the brink. It’s intense, bleak, and sporadically violent. It is also presented with honesty — there’s little here that’s hyperbolic or over-the-top. It’s a portrait of life in a part of America where most people have very few options, very little hope, but plenty of fight. The film primarily follows “Jarhead” Earl (Jamie Bell, “Billy Elliott“), a discharged vet now focused on a singular mission: providing a fresh start for his wife and two children. “Jar” believes the key to that fresh start is the Donnybrook, an annual winner-take-all backyard brawl for a $100,000 pot. A fighter his whole life, Jar doesn’t even entertain the idea of losing once he’s there. “Can’t lose,” he grimly replies when asked. It’s that simple. Except it’s not. Complicating Jar’s quest is Angus (Frank Grillo, “The Purge: Anarchy“) a drug dealer and stone-cold killer with a connection to Jar’s wife, Tammy. There’s also Delia (Margaret Qualley, “The Nice Guys“), Angus’s sister and sidekick, who’s just as often a target of Angus’s violence as the people who cross him. They all have one thing in common — the will to survive. The Donnybrook and its potential for brutality and even death are a means to that end, and they’ll all do anything to get there and somehow come out on top. Writer-director Tim Sutton (“Dark Night“) bases “Donnybrook” on the 2013 novel of the same name by writer Frank Bill. While Bill’s novel identifies its setting as rural southern Indiana, Sutton never really says where his story takes place. It’s just somewhere in what was once the “heartland of America”, now grown sick with economic depression and lost hope. The only place Sutton identifies by name is the Donnybrook, Thus. he grants that plot of land in the middle of nowhere, that site of ritualized gladiatorial violence, an almost mythic, Promised Land-quality. The journey to that place of potential rebirth for the film’s characters takes up most of its running time. Sutton makes the most of the opportunities afforded by the journey to develop his characters, to afford audiences the chance to see what drives each of them to that place, despite the risks. His script is minimalist, as it should be. These are people of action, not words. 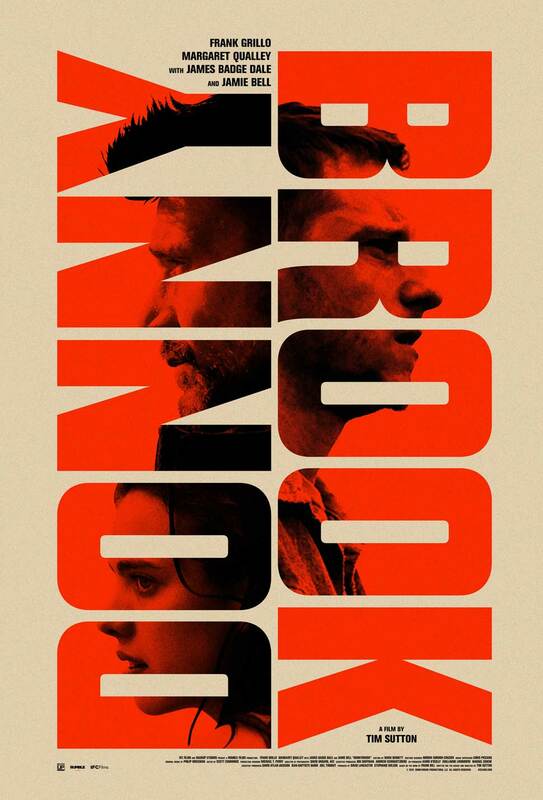 What does speak volumes visually in “Donnybrook” are the desolate towns, the dive bars, the vast landscapes with nary a city in sight, and what people do in those places to survive. Militias and meth dealers. Homes turned into drug kitchens and campgrounds turned into markets for buying guns, drugs, and death. It’s all here, and the way Sutton shows in the course of “Donnybrook,” it all feels honest and true. “Donnybrook” certainly isn’t a perfect film, and it isn’t for everyone. Specifically, there are elements Sutton chooses to include in the film that feel superfluous or distracting, pieces of the puzzle outside of Jar, Angus, and Delia’s stories that may have been more powerful beats in the novel but fall flat here. What does work exceptionally well and makes the film worth seeing for those who enjoy crime stories is casting. Bell are solid and compelling as Jar and Delia, while Grillo is at his most terrifying as Angus. Inscrutable and volatile, he’s the film’s Grim Reaper — wherever he goes pain and death follow. As things progress, his presence fills the screen with dread. How their fates are all finally determined in the middle of the fenced-in cage at the center of the Donnybrook makes for riveting and bloody theater. Starring Jamie Bell, Frank Grillo, Margaret Qualley, James Badge Dale. Directed by Tim Sutton.